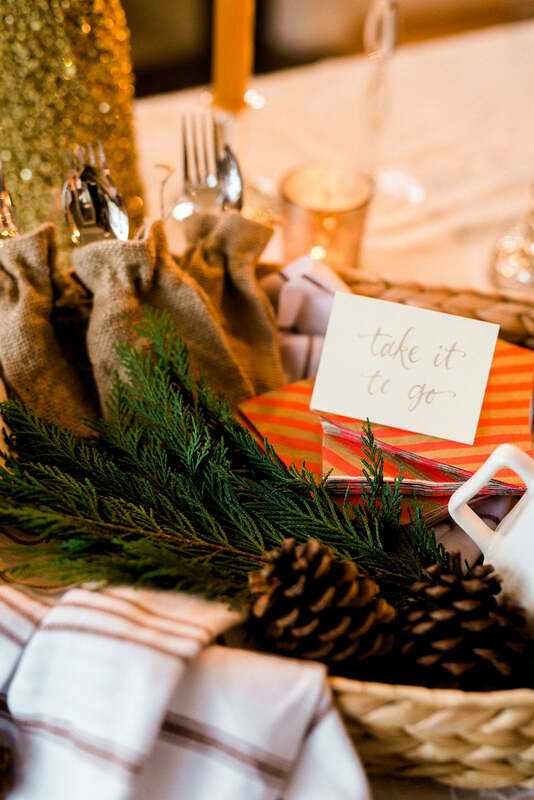 Here at Marigold & Grey, we're obsessed with both hospitality and generosity. 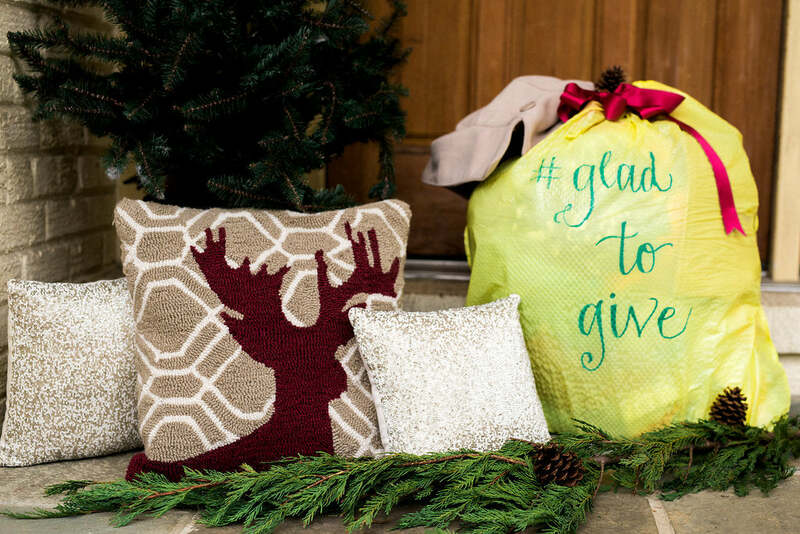 So, it probably doesn't come as a surprise that we've teamed up with Glad Products to spread the word about their new Glad to Give movement! 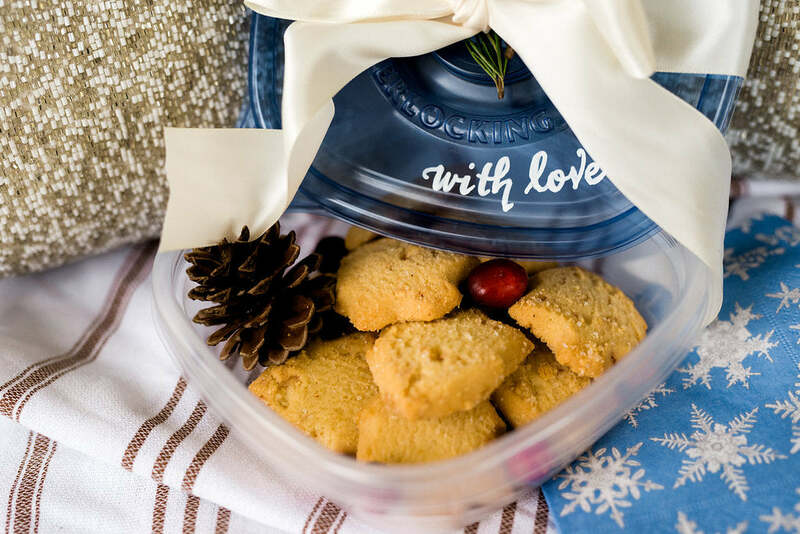 I seriously LOVE their holiday initiative to share rather than waste and am so excited to share how we've gotten involved! Last week, we hosted a small holiday gathering and invited guests to donate a coat (or two!) to the One Warm Coat organization. But before we talk about coats, here are some behind-the-scenes shots from the party! 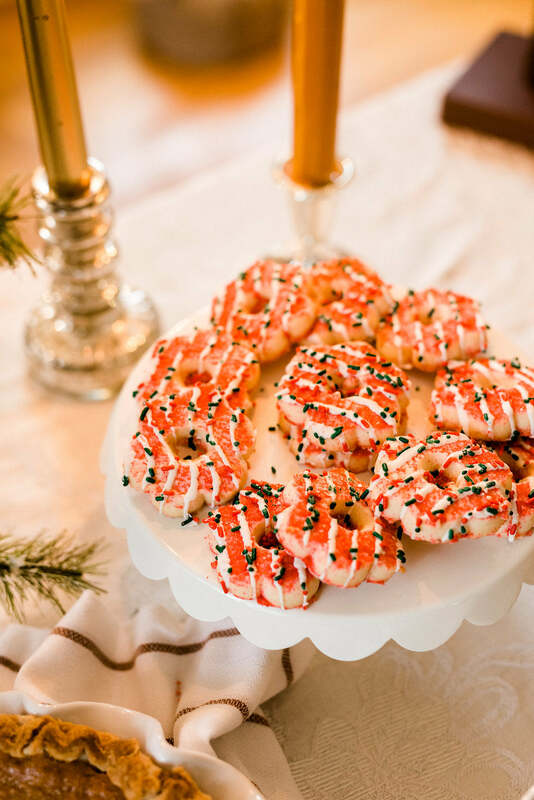 Tons of goodies, both sweet and savory. Definitely more sweet though! 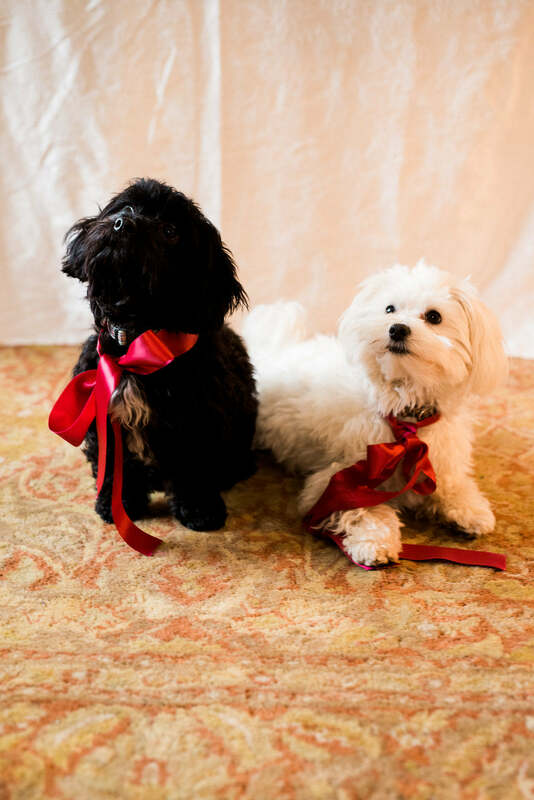 These little guys were dressed for the occasion and, of course, hoping for some crumbs to fall! 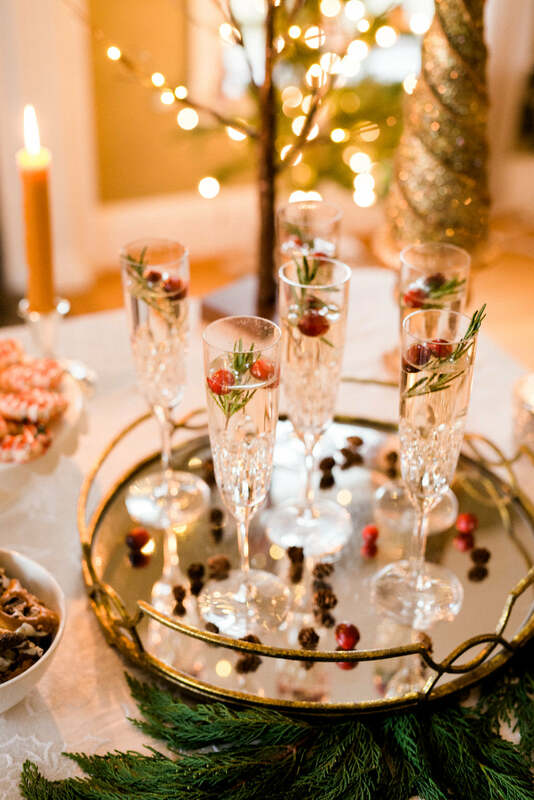 Guests especially enjoyed the cranberry and rosemary infused bubbly right smack in the middle of the day! 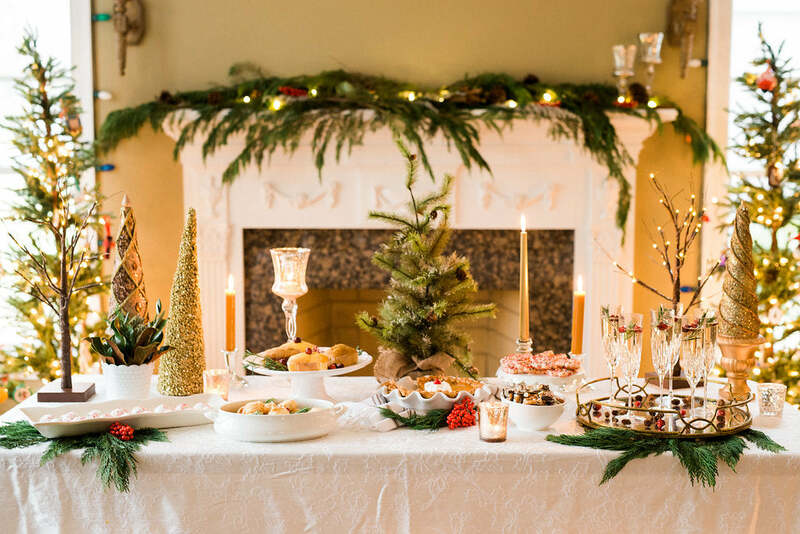 Not sure about you, but when I'm the hostess, I'm always guilty of having way too much food. I'm paranoid that we will run out and I way over-buy. This always turns into leftovers that are usually wasted. 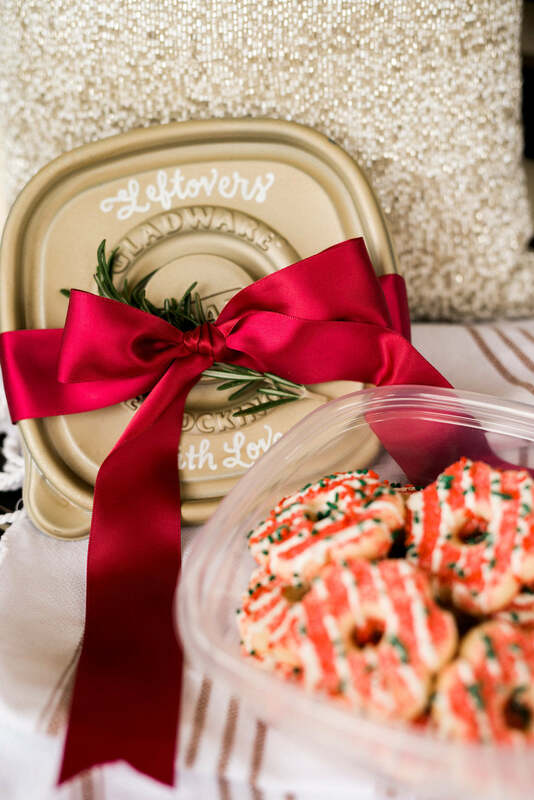 Instead of shoving it all in the fridge and forgetting about it this time, I got creative and sent my guests home with goodies looking festive in Glad containers! 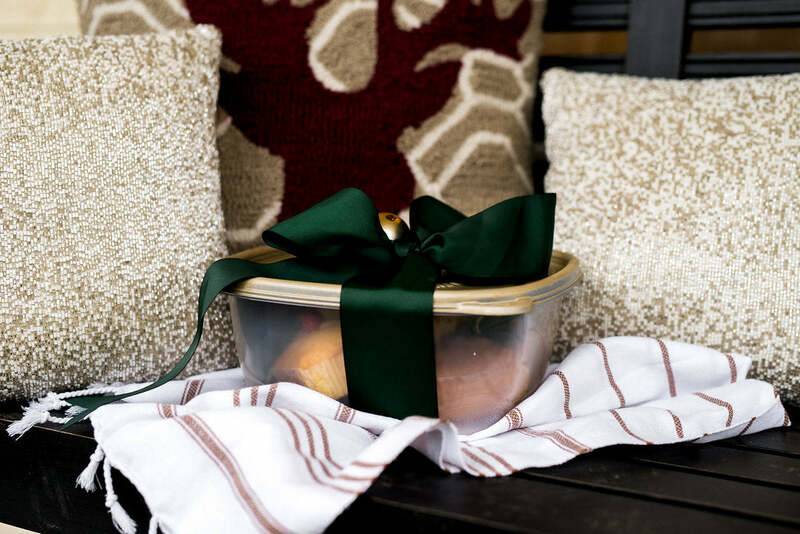 You might not think that Glad storage containers could make pretty gift boxes but think again! 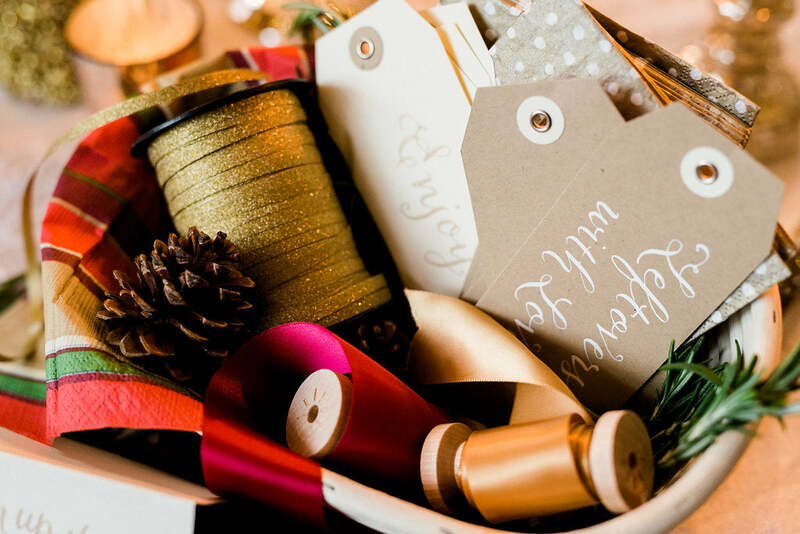 With a little paint, ribbon and gift tags, magic can always happen, my friends. 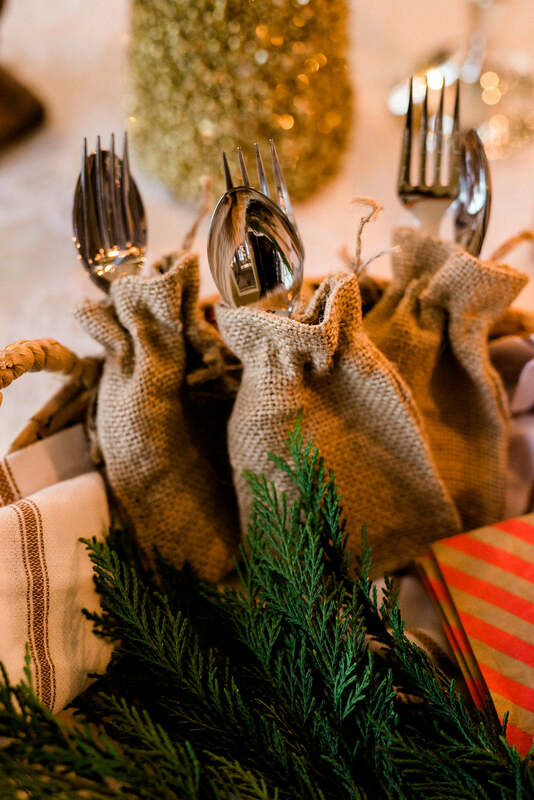 Guests got into the spirit and even packaged up their own goodies, to-go style! And now back to the coats! Before leaving, we asked everyone to donate place their unwanted coats in the yellow Glad bags on the front porch. But, these weren't your everyday trash bags. These were BRIGHT yellow and created specifically for charity donations! 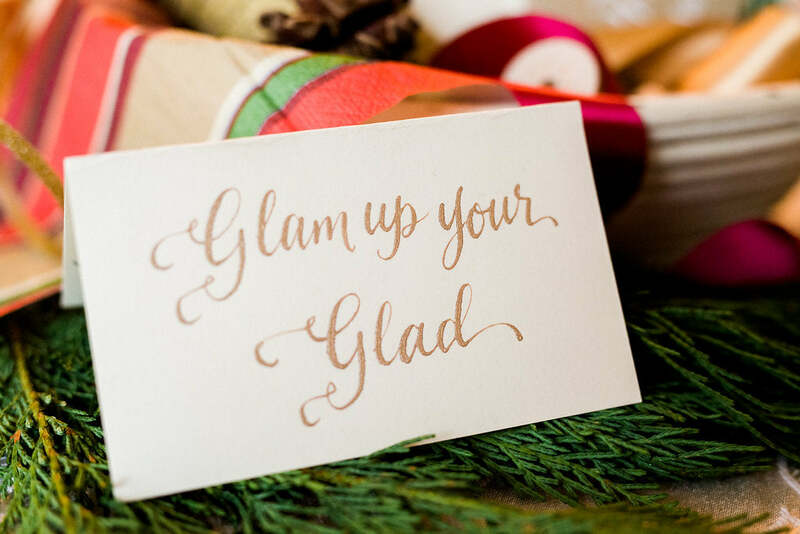 And yes, even trash bags deserve calligraphy sometimes! 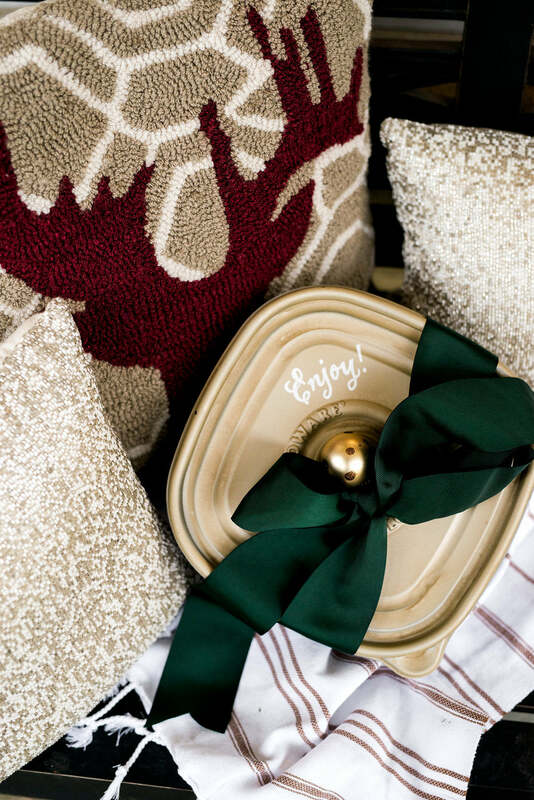 The holiday season is great a time for giving so rather than waste, be generous! 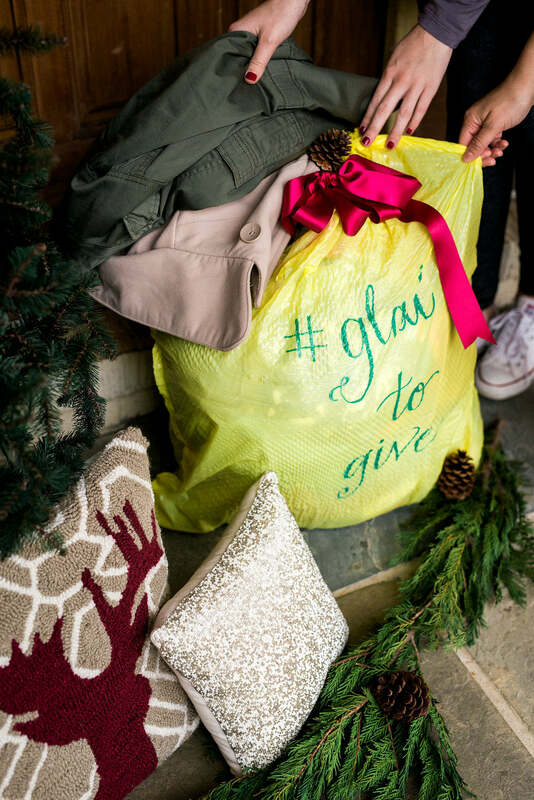 I encourage you to check out this meaningful movement and spread the word on social media using #GladToGive. 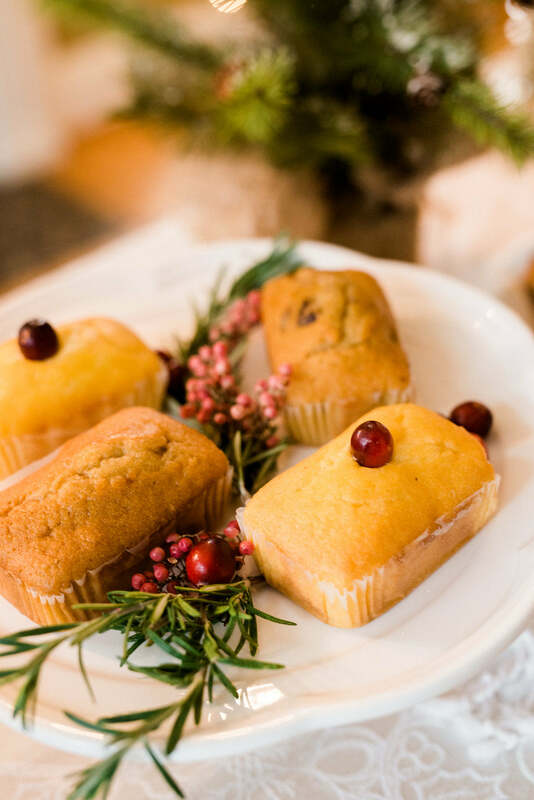 In fact, each time a photo of holiday leftovers is shared using the hashtag #GladToGive, $1 is donated by Glad to provide a meal to someone in need. Go ahead and start sharing, in all ways possible!